If you’re working on a project that involves hosing or cables, the last thing you want is for your equipment to be run over. 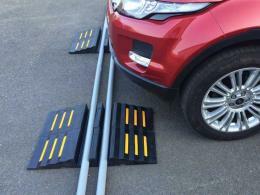 This can be especially important if you’re using such equipment to work in a high traffic area. At The Workplace Depot, we are happy to bring you a great selection of hose and cable protectors, so that you can complete your work in a safe and worry-free manner. This product is great for use on construction sites, in garages, homes, yards, and other high traffic areas, such as streets that are being cleaned. With some great cable management products, such a hose or cable protector, you can easily protect your cables and other equipment from harm while making your own job simpler. 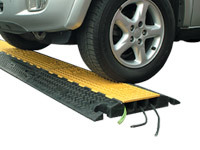 This product is great for anyone who works with or around automobiles. Whether you work in a garage or simply work on a street, parking lot or other area where cars are likely to drive over your equipment. This item saves you the trouble of watching out for cars and saves the drivers the trouble of worrying about your equipment. Applying products such as a hose or cable protector to your premises is a very simple, and cost effective way of looking after the welfare of employees and equipment. 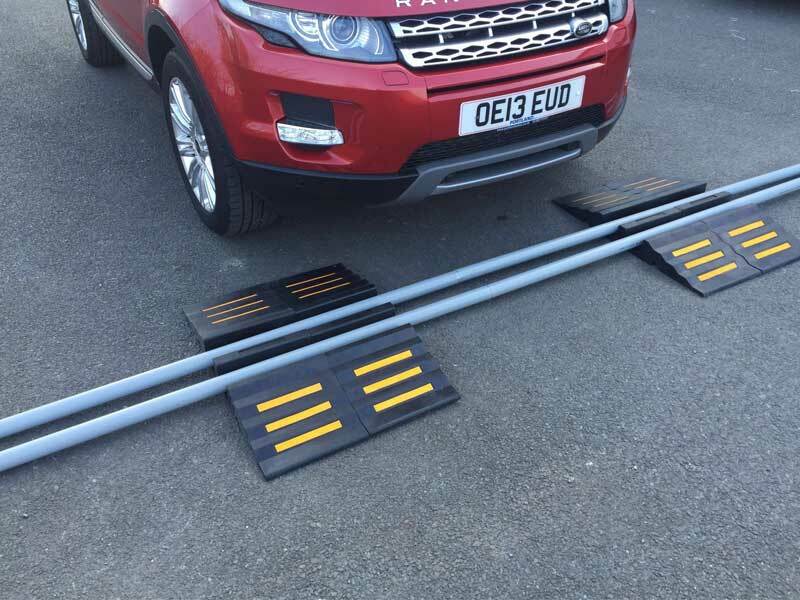 We offer a variety of outdoor cable protectors, cable guards, cable tidies and rubber mats to accommodate any kind of workplace. The items we offer are perfect for both semi-permanent and temporary use. They can fit both large cables and hoses and have two open channels. Each channel can hold an item up to 65mm in diameter. 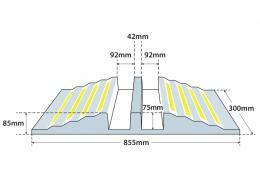 They have reflective stripes to encourage safety during nighttime projects, and they are easy to put into place. Please note that these items will reduce traffic speed, and the maximum speed when passing over them should be 5mph.Whilst not a legal requirement we do recommend you display signage to advise these protectors are in use and that their speed should be reduced. We offer an easy return policy in case you order a product that does not meet your needs. We strive to make sure that our customers are all able to find the exact products they need, so if you are not sure if this product is right for you, let us know. One of our friendly associates would love to help you. All of our hose protectors also come with a 1 year parts and labour warranty, so you know you will get your money’s worth out of them.